The Best Philippines Financial blogs from thousands of Financial Planning Websites on the web using search and social metrics. Subscribe to these websites because they are actively working to educate, inspire, and empower their readers with frequent updates and high-quality information. 2.2 PinoyMoneyTalk.com | The Philippines' biggest money and finance community! Philippines Financial newsletter is a comprehensive summary of the day's most important blog posts and news articles from the best Philippines Financial websites on the web, and delivered to your email inbox each morning. To subscribe, simply provide us with your email address. Philippines About Blog Read top financial news, money saving tips & advice in the Philippines about Credit Cards, Housing & Personal Loans & Car Insurance with Moneymax.ph. Facebook fans 188,325. Twitter followers 641. 2. PinoyMoneyTalk.com | The Philippines' biggest money and finance community! Philippines About Blog PinoyMoneyTalk.com is Philippines' largest online community of people who are into stocks, mutual funds, forex trading, business, investing, and everything about making money online and offline. Facebook fans 69,363. Twitter followers 1,426. Manila, Philippines About Blog iMoney.ph is a leading financial comparison website and a trusted personal finance authority to help you make the most out of your money. Everything you need to know about improving your personal finances. Invest, Save, profit! It's all here! Facebook fans 310,858. Twitter followers 627. Manila About Blog Fitz Villafuerte, the man behind the success of one of the top personal finance blogs in the Philippines, is a Filipino entrepreneur, investor, and Registered Financial Planner. Ready To Be Rich has established itself as a quality source of information for personal finance, investing strategies and business development. Facebook fans 129,675. Twitter followers 4,280. About Blog SavingsPinay is a personal finance blog of a common Pinay. This blog promotes financial literacy for the young and young at heart by providing insights and tips on budgeting, saving, investing and online entrepreneurship. Set to be the #1 Personal Finance Blog in the Philippines, SavingsPinay guarantees quality posts every Monday, Wednesday, Friday and Saturday! About Blog FinancePH is an advocacy group founded in 2014 by a group of financial advisors. Our aim is to erradicate poverty in the Philippines through financial literacy. Facebook fans 125,086. Twitter followers n/a. Makati City About Blog MoneySense is the country’s only magazine on personal finance. We provide you valuable information about earning, saving, spending, borrowing, & investing. Facebook fans 6,719. Twitter followers 1,003. About Blog I’m Christine Caranyagan, a Licensed Financial Advisor from Sunlife of Canada, the first and oldest insurance company here in the Philippines. For six years since 2010, it became the Number 1 Life Insurance Company here. Each one of us deserves to have a wealthy life. Every one of us is capable. It is just the matter of you making the #bright choices in your life. Let me be your financial advisor for life. Facebook fans 2,686. Twitter followers n/a. Facebook fans 1,836. Twitter followers n/a. Facebook fans 2,687. Twitter followers n/a. Philippines About Blog From Personal Loans to the best Credit Cards in The Philippines, MoneyMax.ph helps you Save Money. Get a credit card with low interest rate at MoneyMax.ph. Read our blog to know the latest credit card promos in the Philippines. Facebook fans 129,637. Twitter followers 4,277. Facebook fans 78,585. Twitter followers 15,445. 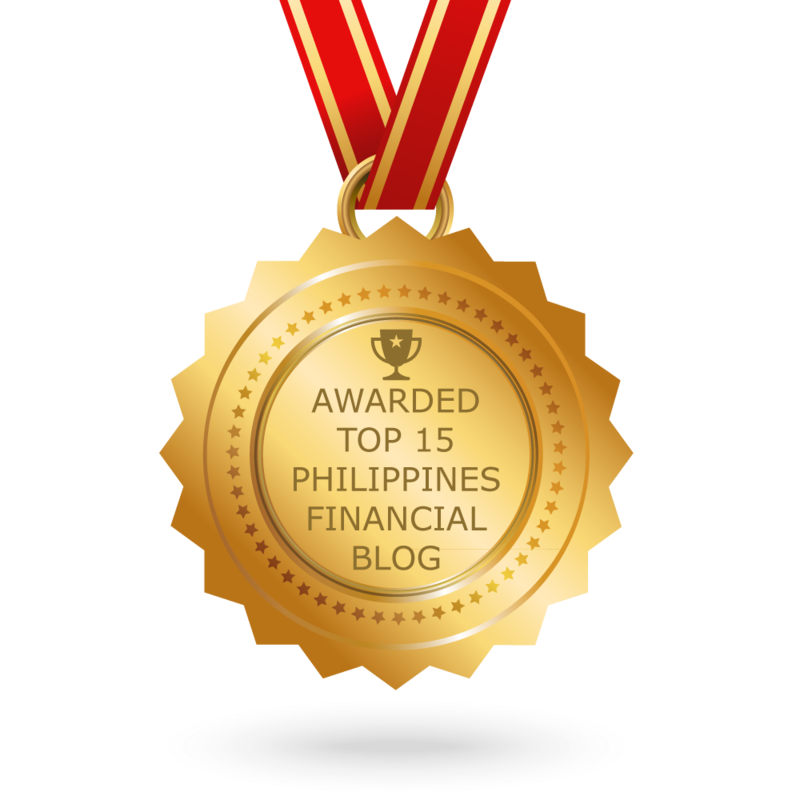 CONGRATULATIONS to every blogger that has made this Top Philippines Financial Blogs list! This is the most comprehensive list of best Philippines Financial blogs on the internet and I’m honoured to have you as part of this! I personally give you a high-five and want to thank you for your contribution to this world.